Senior housing can be extremely expensive, leaving seniors with no option but to spend the majority of their retirement savings on rent. Luckily, there are affordable housing programs that can help you find the best quality of care for yourself or a loved one without breaking the bank. Here are three Housing and Urban Development (HUD) programs with a silver lining. While not specifically targeted towards senior living, the goal of this federally-funded program is to ensure there is enough low-income housing to meet the needs of the population. According to HUD, which created the LIHTC, an average of 105,000 units were made available each year from 1995 to 2011. The building owner chooses how many units will be set aside for low-income residents. Owners accept the rent amount specified by HUD to participate in the program and be eligible for tax credits. A senior who meets the HUD income criteria can research their local area for HUD-approved dwellings that offer the housing tax credit. Commonly known as Section 8, this affordable housing option enables low-income residents to rent “safe and reasonable” apartments or other accommodations. Under Section 8, landlords accept 30 percent of the family or individual’s income as a full rent payment. To be eligible, your individual income must not exceed 50 percent of the median income in the local area. Section 8 is not a senior-specific low-income program. Also HUD-funded, the Section 202 Supportive Housing Program is specifically geared toward adults aged 62 and older who meet the “very low income” requirement. It’s the only government-subsidized affordable housing program offered exclusively for seniors. Section 202 currently funds over a quarter million senior living units. Section 202 is similar in structure to Section 8. Participants pay 30 percent of their income for rent, with the HUD subsidy making up the balance. 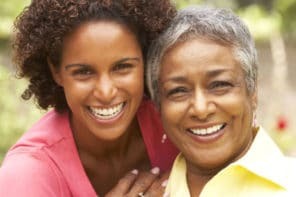 Seniorly.com is a free service for families seeking elder care communities for their loved ones in the San Francisco Bay Area, Sacramento, Los Angeles, and beyond. Seniorly’s mission is to connect families and local housing providers by delivering services that keep seniors engaged and happy. 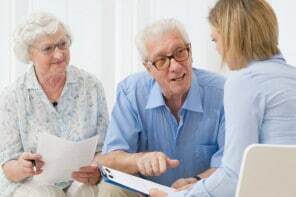 Their Resource Center is stocked with articles on topics related to aging, and the Seniorly Living Blog features guest writing from industry experts including DailyCaring! We all need community. Seniorly can help you find yours!